To the shock of absolutely no one who knows anything about my drinking proclivities, the second Alexander of Alexander Week is the Bourbon Alexander. 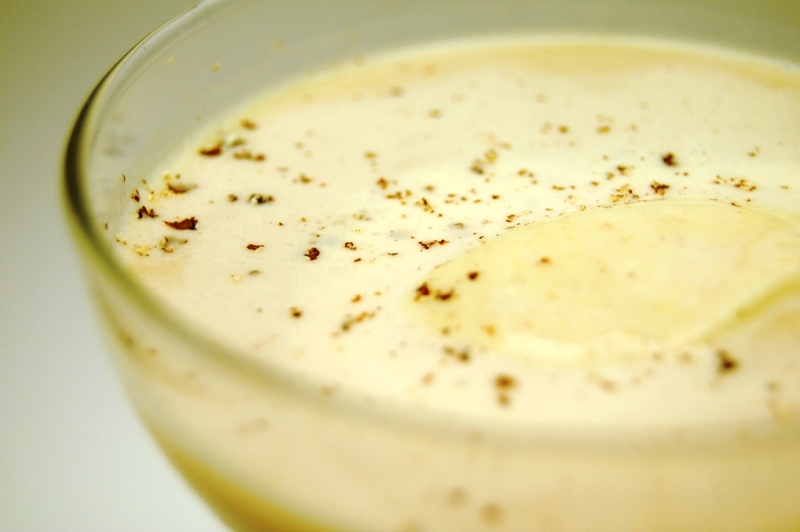 As you can see below, we made this in quite similar fashion and flavor to yesterday’s Brandy Alexander, swapping out cinnamon gelato for pumpkin spice, using dark creme de cacao instead of white. You could also argue a first-cousins kinship between a Bourbon Alexander and Milk Punch, which today tends to be made with whiskey. (Originally, it was rum-based.) This is worth mentioning because Milk Punch was considered medicine/nutrition back in olden times, so now you've got your handy excuse for why you're drinking (again). 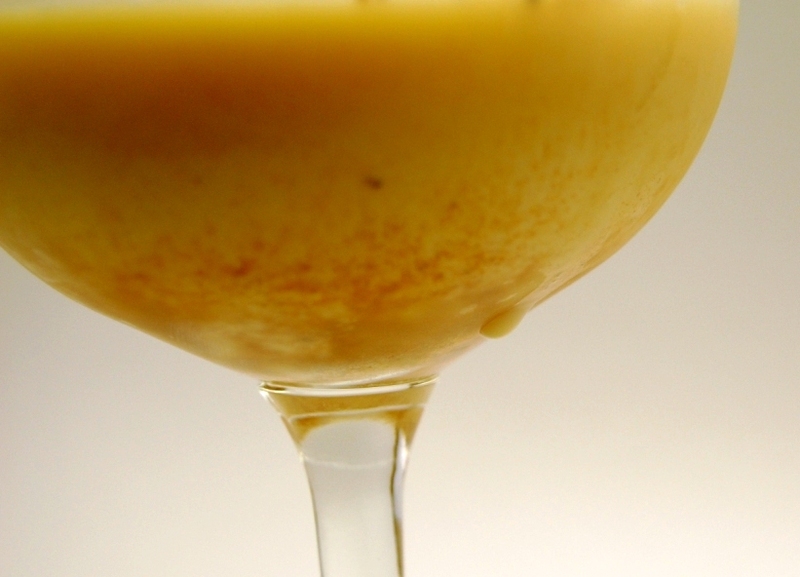 Pour bourbon and creme de cacao into ice-filled cocktail shaker. Add 1 ¼ ounces gelato. Cap and shake vigorously. Strain into cocktail glass. Float another spoonful of the gelato in the middle of the glass. Garnish with fresh nutmeg on top. About this Corner Creek bourbon (which Sean’s jokingly called Cripple Creek so many times, I forget it’s not really called that): We picked up a bottle at the Wine Library (a must-visit in the Garden State; unlimited cheese sampling!) because it was all of $20. Plus, it comes in a wine bottle. (Hey, I’ve chosen alcohols for reasons far less). We’ve read up on it since then, or at least tried. ‘Tis a puzzlement, this Cripple Corner Creek. The label says it’s distilled in Bardstown, KY (one of bourbon’s historical epicenters, although not part of Bourbon County) by the Corner Creek Distilling Co., which apparently has no website (anymore?). 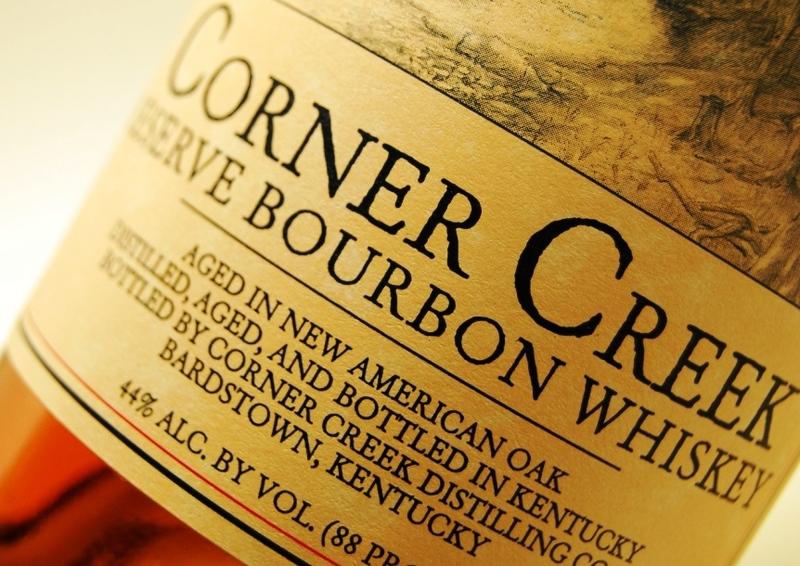 From what I’ve been able to gather (forgive me if I’m off-base), Corner Creek is a barley-free bourbon, its mashbill containing only corn, wheat and rye, and it’s aged for a completely respectable eight years. According to the wildly divergent online reviews I’ve skimmed, it’s not even a love-it-or-hate-it whiskey; it’s a love-it-hate-it-or-claim-utter-indifference-to-it-with-equal-fervor whiskey. As a Bourbon Alexander base, Corner Creek served me very well. Its rye notes, while not aggressive, gave the pumpkin spice something to play against, but overall it's a sweet and uncomplicated bourbon. * I'm glad I used it instead of Maker's Mark, which could have over-caramelized the taste of the drink, I think. Of course, like any good bourbon addict, I will someday definitely make a Bourbon Alexander with Buffalo Trace and encourage you to do the same. * There's actually tons more I could say about Corner Creek. For a whiskey that's almost stubbornly facile, it's made for a fascinating specimen. I'll piece together a good and proper review of it soon, promise.